What is flexion of the spine? 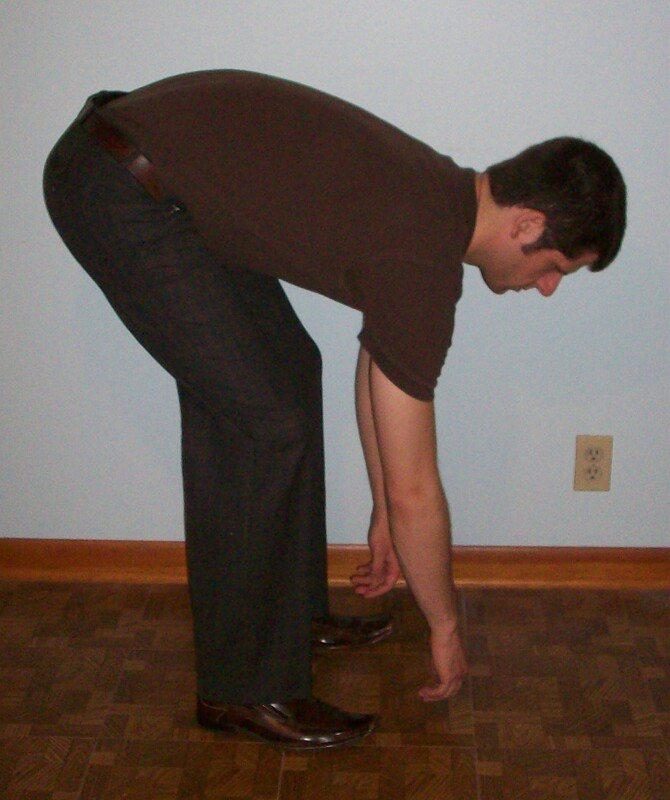 Flexion, also known as bending, occurs when you bend forward to pick up an object off the floor, tie our shoes, etc. The action of repeatedly fully bending the spine is a risk factor for low back disorders and causes disc herniations in the spine. In addition, bending our spine for a prolonged period of time will damage the back. Note the “C-shaped” hump in the low back of FIGURE 1. This “C-shaped” hump indicates flexion of the spine and incorrect bending. Whenever you see this “C-shape” in the low back, you are bending incorrectly! It is best to avoid repeated and prolonged flexion of the spine. It is also important to understand that every time you bend forward, you must extend your back to get up again. This act of straightening your back after bending forward is called extension. Cycles of bending forward and coming back up cause low back problems. Flexion and extension can harm your back without lifting an object. It is simply the act of flexing and extending that is inherently bad. Eliminating flexion of the spine is critical to protecting your back.